The idea of managing your own money can be a daunting one. I mean, it's the reason I started ModMoney in the first place. The whole point is to make personal finance approachable, accessible, and simply less scary. Now here's the good news. New personal finance apps are making money management easier than ever. Nowadays, anyone can track, save, budget, and invest their money with just a handful of online tools. 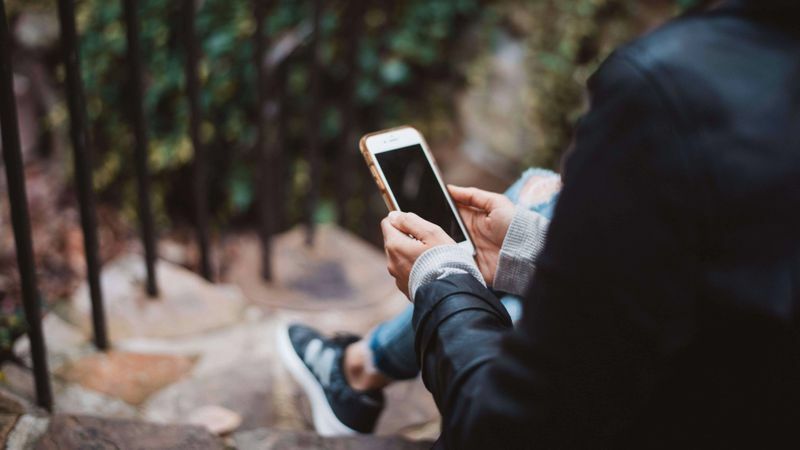 So consider this your launchpad for your long-term goals—a limited, but excellently curated—list of the top personal finance apps to help you manage your money like a pro. Personal Capital is one of those do-it-all money apps that I use for budget tracking and everyday money management. Think about all of your financial accounts: checking, savings, brokerage, retirement, mortgage, student loans, credit cards, etc. Personal Capital helps you keep track of it all. Put simply, this app is the reason I'm able to stay on top of my finances with so little effort. Personal Capital aggregates all your accounts onto one dashboard, displaying your whole net worth in one place. It also helps you track your spending, plan a budget, monitor your investments, and even save for retirement. This app delivers a thorough snapshot of your personal finances like no other tool can. Saving money while you’re young is a sure way to build wealth. Here's why. When you put money into a savings or investment account, your dollars earn interest. As time passes, you build interest on your original balance AND on the interest you have accumulated. This is called compound interest, and it grows your balance exponentially. But there's one problem. It takes time and effort to save money each month. Enter Qapital, a free app that helps you save money automatically. Beyond making saving completely effortless, Qapital actually makes saving fun by allowing you to customize how you want to accomplish your savings goals. Maybe you want to round up your everyday purchases to the nearest dollar. Or transfer cash each time you get paid. You could also move cash into savings each time you hit the gym by connecting Qapital to your fitness apps. The options are endless! This finance app is super intuitive and will help you hit your savings goals before you know it. Investing is one of those personal finance topics that sends a lot of us running for the hills because we just never learned how to do it. But here's my promise to you: investing as a beginner doesn't have to be intimidating, complex, or expensive, thanks in large part to Wealthfront. Wealthfront is one of the best investment apps because it makes investing accessible and affordable for investors of all ages and levels. I use Wealthfront for all of my investing, and I'm obsessed. I even rolled my old 401(k) into a Wealthfront IRA when I changed jobs. Wealthfront starts by getting to know your age, income level, and retirement goals. Then, it calculates the best risk-adjusted strategy for you and invests your money accordingly. It also monitors your portfolio and periodically rebalances it in the most tax-efficient way. All you have to do is sit back and relax, and let your money work for you. What more could you want out of an investment app? Sign up for Wealthfront here to get your first $5,000 managed free. If you're anything like me, grocery expenses consume a meaningful chunk of your monthly budget. So welcome to Ibotta, the best grocery shopping app out there. Needless to say, I never hit up a Trader Joe's or Whole Foods without it. And the best part? No coupon clipping necessary. Now that you've saved your offers, go shopping like normal in the store. Then, scan your receipt into the Ibotta app. Ibotta will match the items on your receipt to the offers you saved and automatically put cash in your account! Everyone goes grocery shopping, so why not get paid for it? Sign up for Ibotta with this link to earn a $10 welcome bonus. 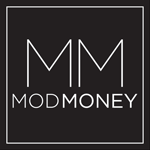 Anyone who has followed ModMoney for any amount of time knows that Ebates is my ride-or-die online shopping app. I never make a purchase without going through Ebates first! Sign up for an Ebates account (and automatically earn $10). Search for your retailer, and see how much Ebates is offering in cash back. It is often 5%-15% of your purchase! Click on your retailer, and Ebates will direct you to the store's website. Shop and check out like normal! Ebates will send you a check for the cash-back you earned. We all spend money online, so why not make some money while we're at it? Now you know I'm obsessed with Ebates as a way to get paid to shop online. But what if you want to shop in-store? Enter Dosh, a shopping portal that applies online, in-store, AND at restaurants. All you have to do is connect your credit card, then shop and dine at thousands of partner stores and restaurants. Dosh will automatically get you up to 10% cash back! Swagbucks is a site that gives you cash and gift cards for taking surveys, watching videos, shopping, and even searching the web. If you have some time to kill, why not make money online doing something fun and easy? I like to spend time on Swagbucks while I'm watching mindless TV or need a mini break from work. Sign up for Swagbucks with this link to earn a $5 welcome bonus. Clarity Money is a newer budget app I've been loving (I even moved it to the first page of my iPhone home screen...that's how you know it's good!) 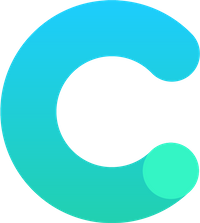 Clarity uses machine learning and data science to analyze your finances and help you make better decisions with your money. What I love about the Clarity app is that it is so multi-dimensional. It analyzes your income and spending levels and graphically depicts them against one another in a helpful, intuitive way. The app shows you exactly how much you're overspending or saving. It also includes a budget planner, credit score tracker, and can cancel any recurring subscriptions that are sabotaging your finances. Clarity calls itself the "champion of your money," and that's exactly what it has been for me. If you ask me, it's the best budget app on the market. Honey is an online shopping app I rely on every time I place an order. Gone are the days when you have to spend 12 minutes per transaction testing every single coupon code that you can find on the Internet. Because who has time for that? Now, the Honey browser plug-in will automatically test every coupon code available and apply the one that saves you the most money. All you have to do is click a button! Graduating from college and facing the real world is a reality check in itself. Now tack on mountains of student loan debt. Yeah...that's a lot to handle fresh out of school. If you are stressing over the burden of student loans, know that you are not alone. In fact, the average graduate in 2016 carried over $37,000 in student loan debt! Coming up with a plan to tackle your debt is so important to your financial wellness. And I'm a big fan of Student Loan Hero to help you do it. Student Loan Hero is an online platform that syncs all of your federal and private student loans on one dashboard. First, they will analyze and present your financial summary in a way that is easy for you to understand. Next, Student Loan Hero will offer guidance on repayment plans designed specifically for your situation. They also deliver advice on refinancing and consolidating your loans and offer helpful resources as you navigate this new territory. Which personal finance tools do you use to manage your money?